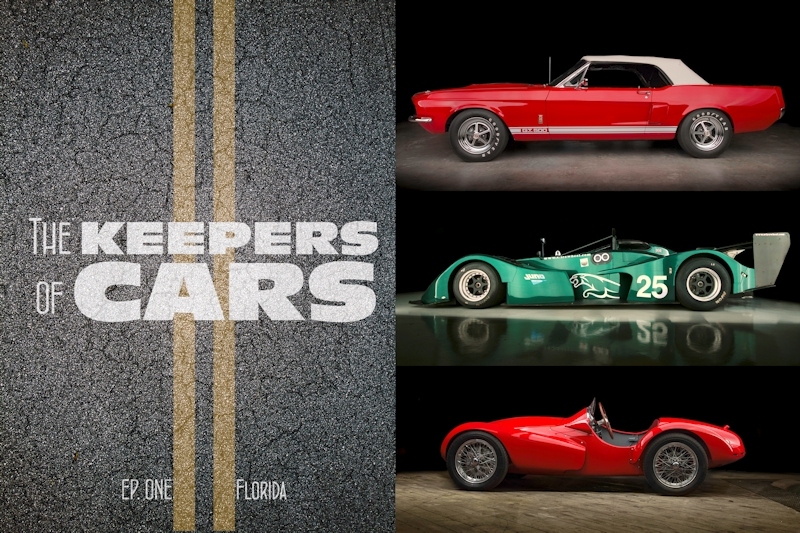 I recently co-produced a short automotive documentary called “The Keepers of Cars” with DeHaven Digital Photography. This short documentary is actually supplemental to an upcoming book of the same name with even more in-depth stories about the unique cars featured in it. The project was created from the lifelong love affair I have with automotive design and engineering, as well as the frustration I have with how automobiles are often represented these days. Week after week, the same few types of cars get all the attention, and the only stories offered in the captions are the superficial things: How much the cars cost, how fast they go, and what modifications have been added. In essence, automobiles in social media and in many publications have become a lot like Pin-Ups: all visual stimulation and no substance. I wanted to tell a different kind of story and hopefully this is the first of many. From the rarest Shelby GT 500 convertible to Carl Kiekhaefer’s land speed record breaking Stanguellini these stories should raise some intrigue with any automotive enthusiast.